New discovery? 38mm automatic diver. Looks normal untill you see the automatic on the dial. 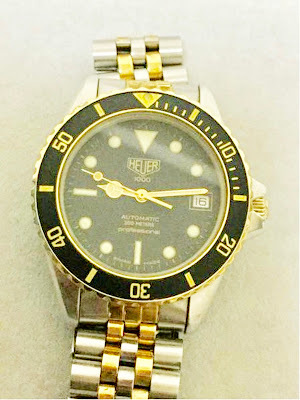 As far as I know Heuer never made a automatic diver in the 38mm standard mens size diver. We all know the famous ref. 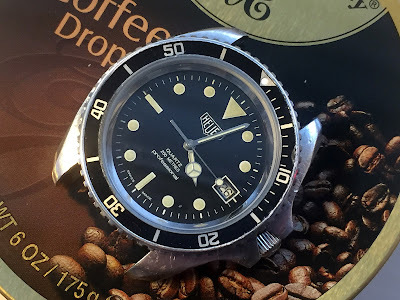 844 jumbo 42mm automatic diver. 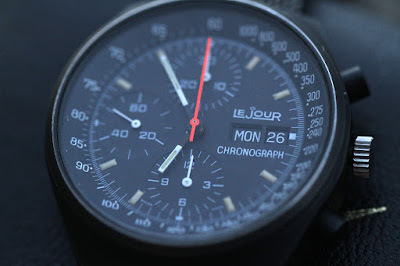 The one that was introduced in 1979 together with a tiny automatic ladies watch, the ref. 756. 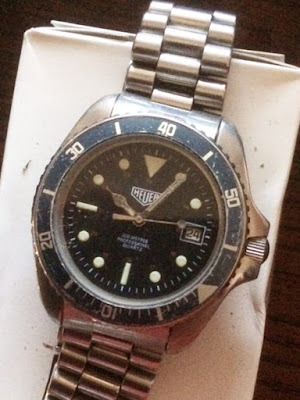 This was the beginning of Heuers dive watch sucsess. 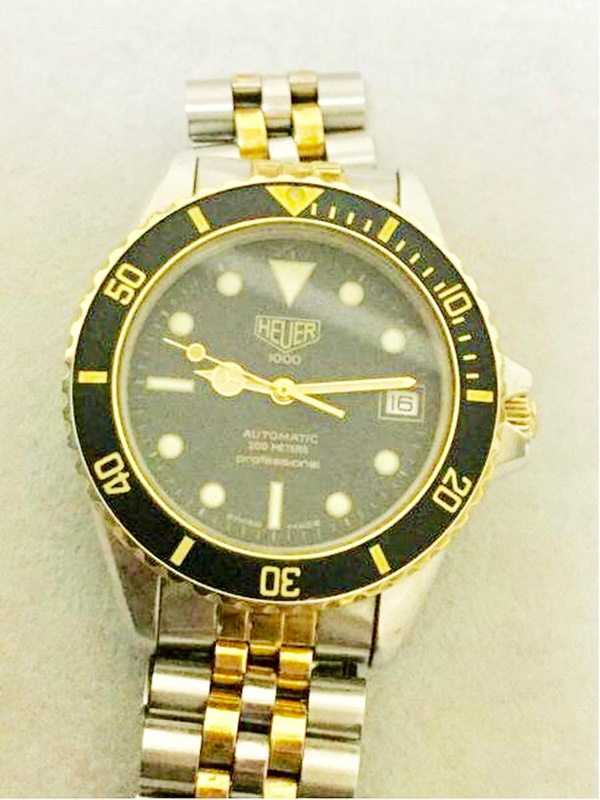 Most watches sold was driven by a quartz movement. 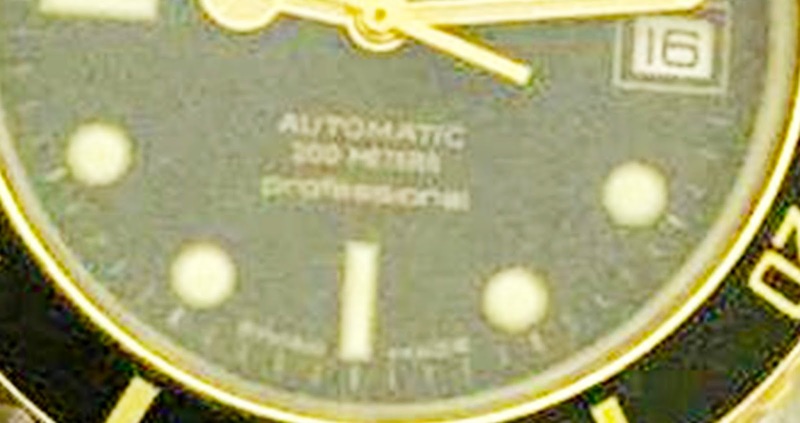 AUTOMATIC printed on the dial looks genuine. 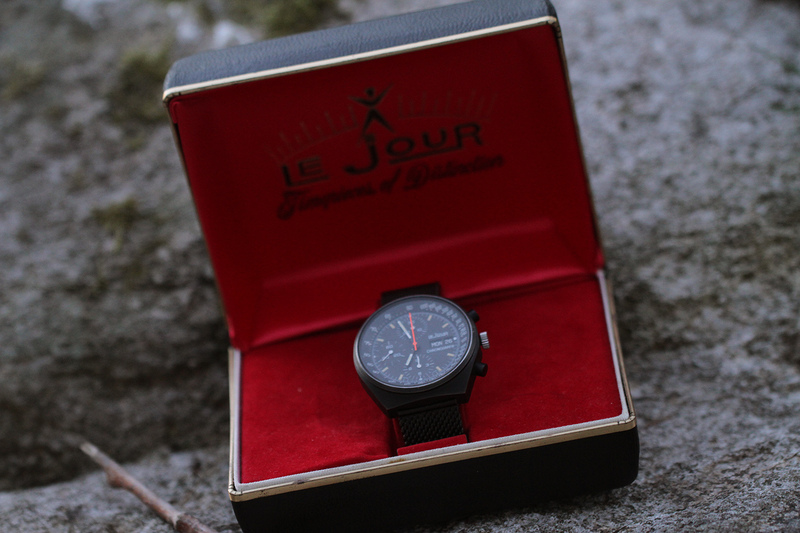 The most popular watches was the regular mens watch size at 38mm. The all steel ref. 980.013 and the two tone ref. 980.020 was very popular. All these watches was quartz only. 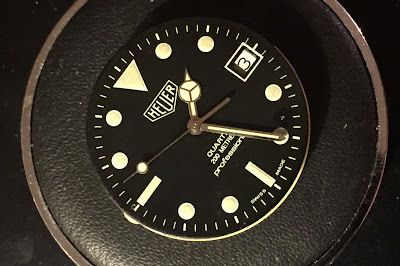 I got three pictures from a Heuer-collector friend asking what I was thinking about a special 38mm Heuer diver. The dial said AUTOMATIC, and the case back was stamped with ref. 180.020. Inside was a ETA automatic movement stamped Heuer.85 on the rotor. The 980.020 is a two-tone quartz diver. This 180.020 was a automatic two-tone diver. 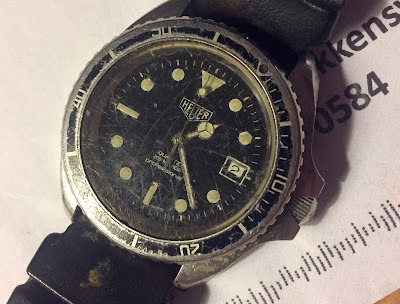 Coluld this be a genuine automatic 38mm Heuer diver? We have seen this kind of ref.number system before. The 1000m quartz diver has ref. 980.023. The ref. 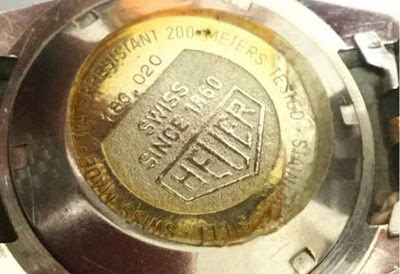 180.023 is the automatic Tag Heuer Spirotechnique. All three share the same case. 980=Quartz / 180=Automatic. 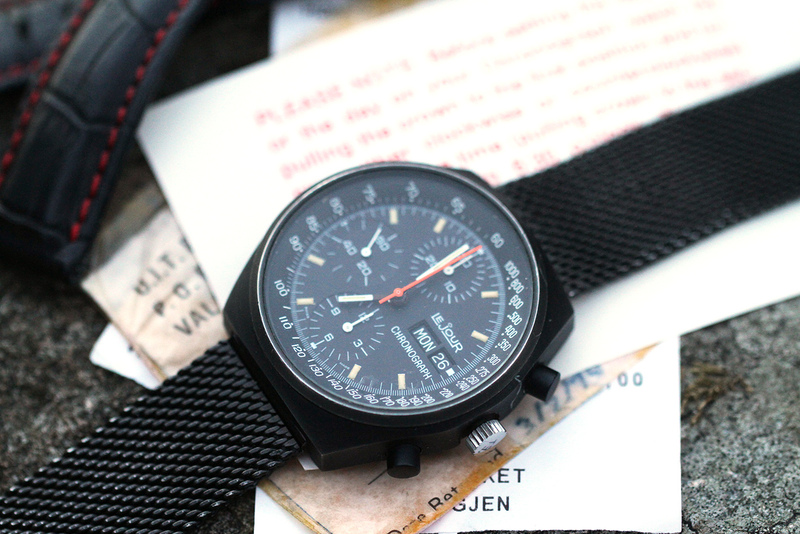 These three watches was produced around 1985/86 when TagHeuer was the new name of the company. The 980.023 was introduced as Heuer, and later changed to Tag Heuer. 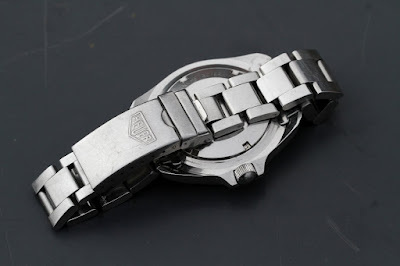 ETA movement stamped Heuer / 85 on rotor. The movement on the new 38mm autodiver is stamped 85. This seems correct and places it in the same period of time as the other ref. 180.023 and 180.123. I think we has a genuine automatic version of the ref. 980.020 quartz. The ref. 180.020 Automatic. 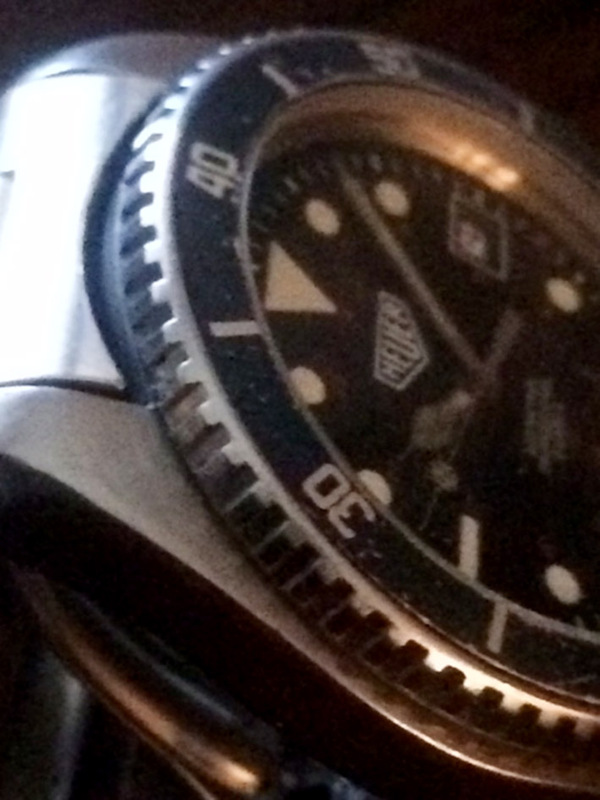 The big question is why have we not seen more of this medium sized Heuer diver? Was it ever put in production? 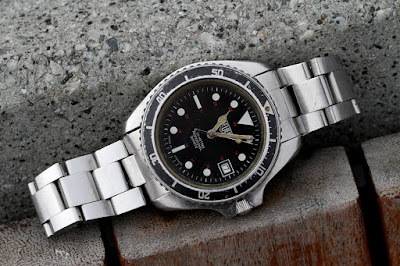 Any one with another 180.020 Automatic two-tone diver out there? This is one of the earliest Heuer 844 Quartz I have seen. The serial number is in the low 3000. 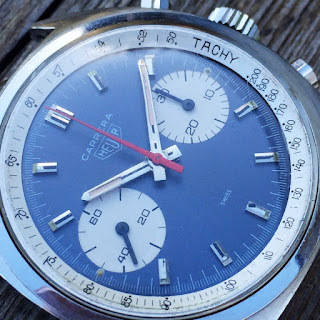 Mine own Heuer 844 Quartz is in the 7000s. Early Heuer 844 Quartz from 1978. Bought in Los Angeles that year by Barry. 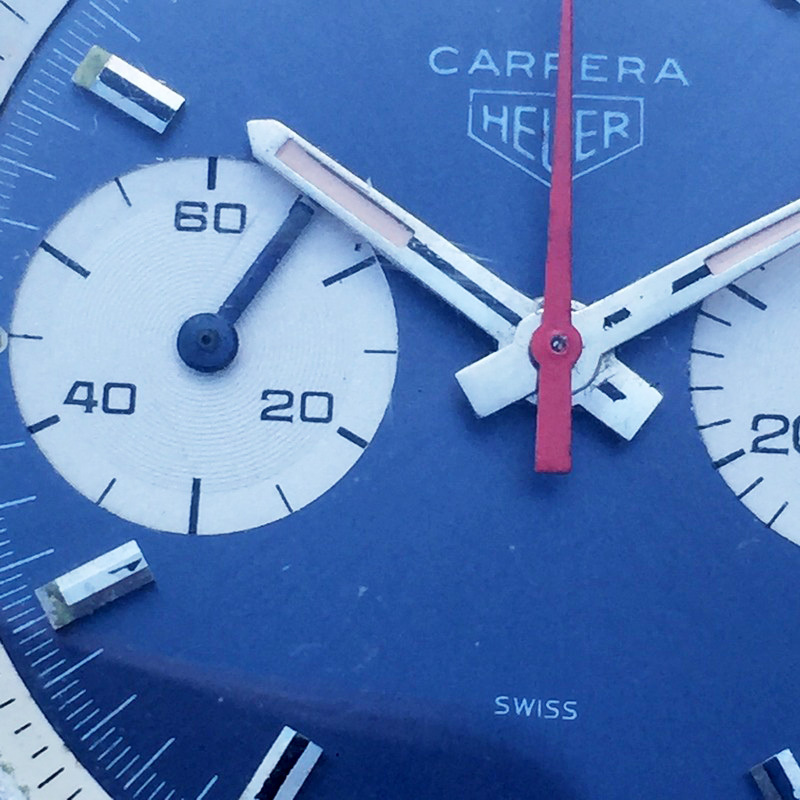 The watch belongs to Classic Heuer reader Barry from the USA. He wrote to me after reading about the restoration prosess of my Heuer 844 Quartz. 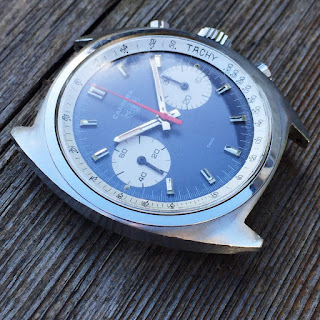 - I purchased the watch new in the 1970s in Los Angels. I still wear it, it's a beautiful watch. 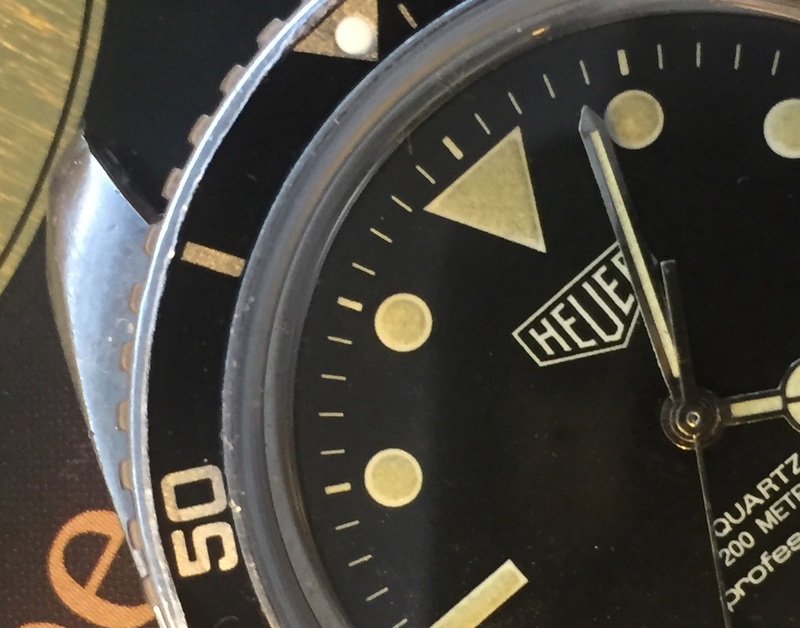 It may be one of the first one Heuer diver ever sold. The dial is not even marked "France". The case back is marked 844, even though it is a quartz, Barry says. - She's alive and running, that's amazing after all these years. 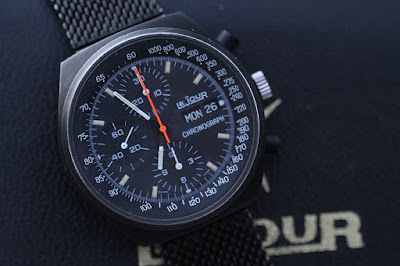 I think I bougth this watch in 1978, probably in December, as I was in Los Angeles at that time. 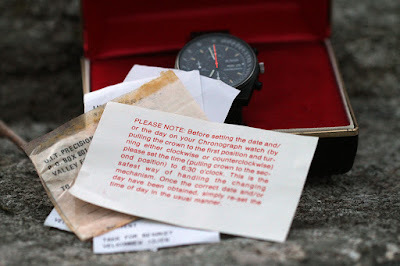 - It was oh so cool to have a quartz watch at that time, he remembers. Barry was learning to navigate with sextant at that time, and he tells that the Heuer 844 was more than accurate enougth to use for navigation. The watch has some interesting features like a dial with the usual red 1-24 markings and cathedral hands. The wrinting is in french as normal, but the dial is not mrked "Made in France" at the bottom as usual. 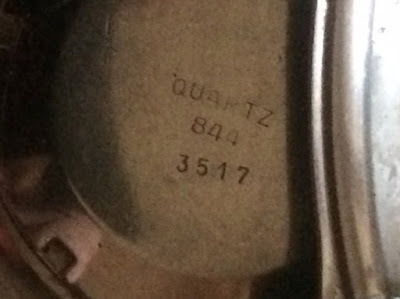 The case back is marked "844" and the word "Quartz". Mine 844 Quartz is not marked quartz, but has "Made in France" at the bottom of the dial. 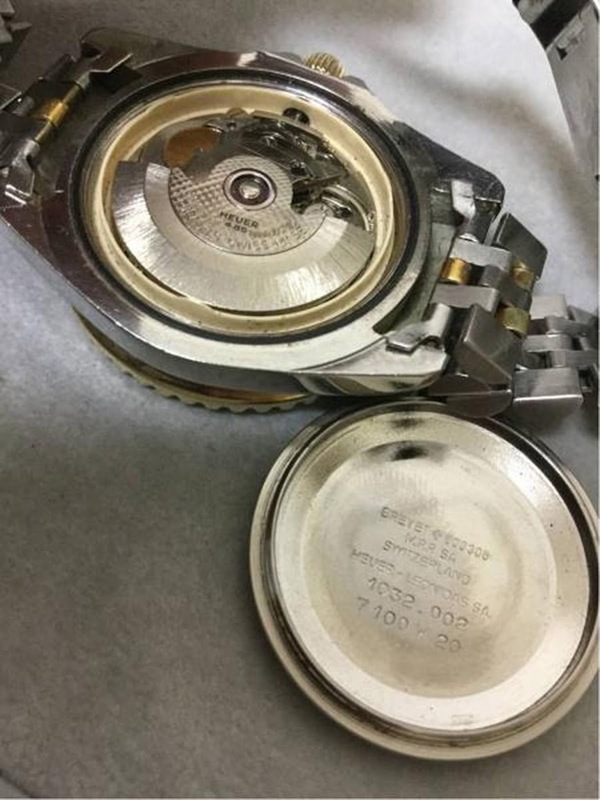 Barrys watch has serial number in the 3500s, mine is in the 7800s. Thanks to Barry Kurland for the information of his cool vintage Heuer. Still in use after all these years. 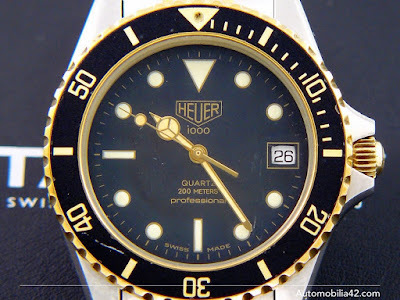 I love the big size Heuer divers like 844, 980.006 and the other versions. They look cool and the size is quite big even by todays standard. I have been looking for a 844 Monnin for a while. I wanted to find one that needed some work. The prices of these first generation Heuer diver has gone crazy. In Germany I found a a very sad looking 844 quartz. 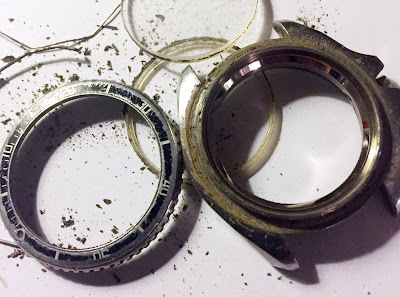 It was just what I was looking for with totally wrong bezel, and a movement in pieces. The important cathedral hands was painted all white and looked awful. But the watch had potensial to be nice again, and it had the very rare original oyster bracelet. The cathedral hands had to be stripped down to bare metal before reluming. This kind of hands is very important for a correct 844 Monnin. 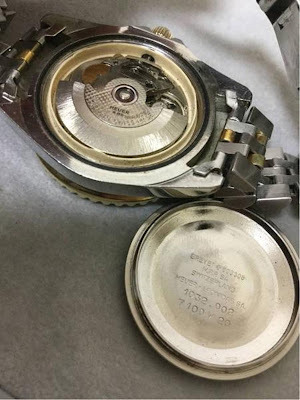 The movement had to be replaced it was totally damaged and in parts. 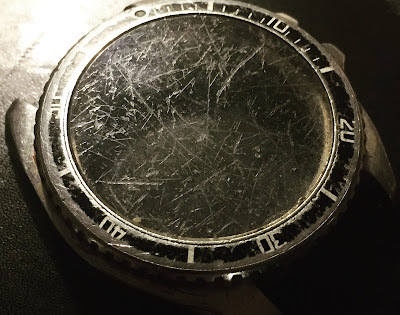 A NOS movement (ESA 536.121) was found on Ebay from Egypt. A bezel was located in USA from a fellow Heuer collector and friend. New screw in crown was bougth from England. Put together again this turned out to be a very nice early 844 Monnin with quartz movement. There's at least two versions of the quartz Monnin. The 844 and the 8440. 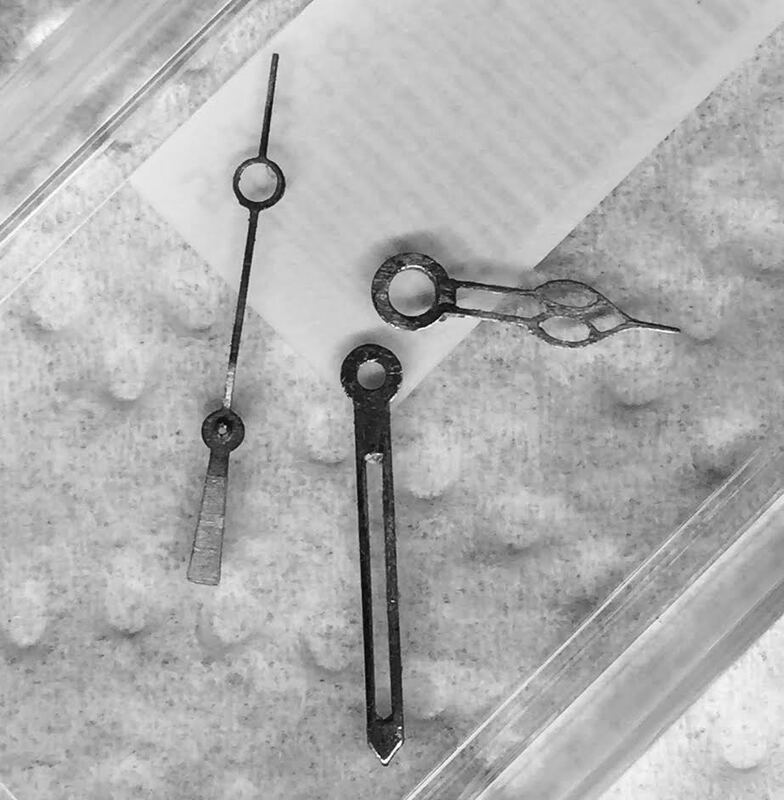 The last one has a French quartz movement, and the first has ESA 536.121. This is a Heuer chronograph with history. This watch was used by a Swedish war pilot during WW 2. In May i got a email from Bo Lindbom from Sweden. He was seeking information information about an old Heuer he inhereted from his late father in law. 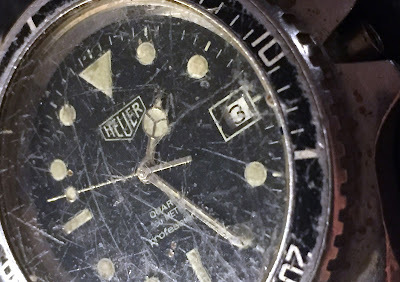 Bo wrote: "In the cellar after I found an old watch which after some search on the internet showed to be a Heuer military watch. The movement I supposed to be a Valjoux 22. 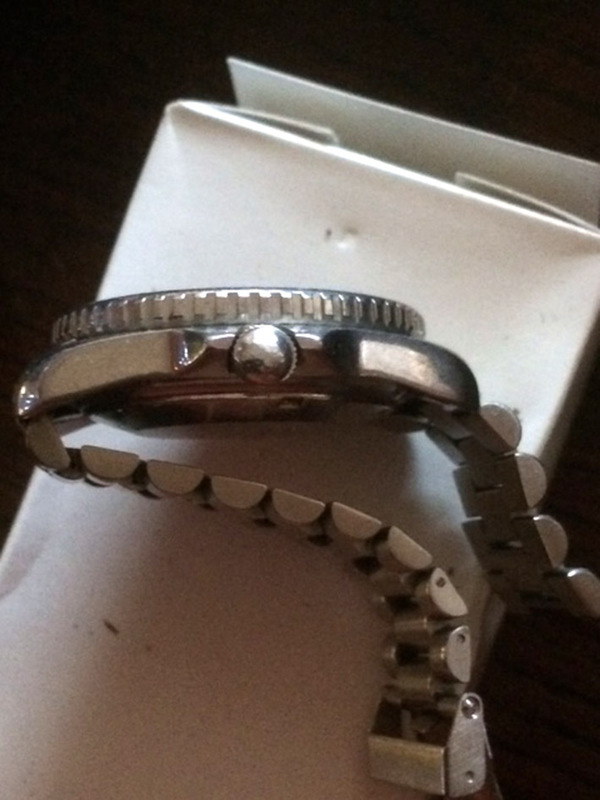 I had it serviced becuse it was not running when I found it due to corrosion inside the case". 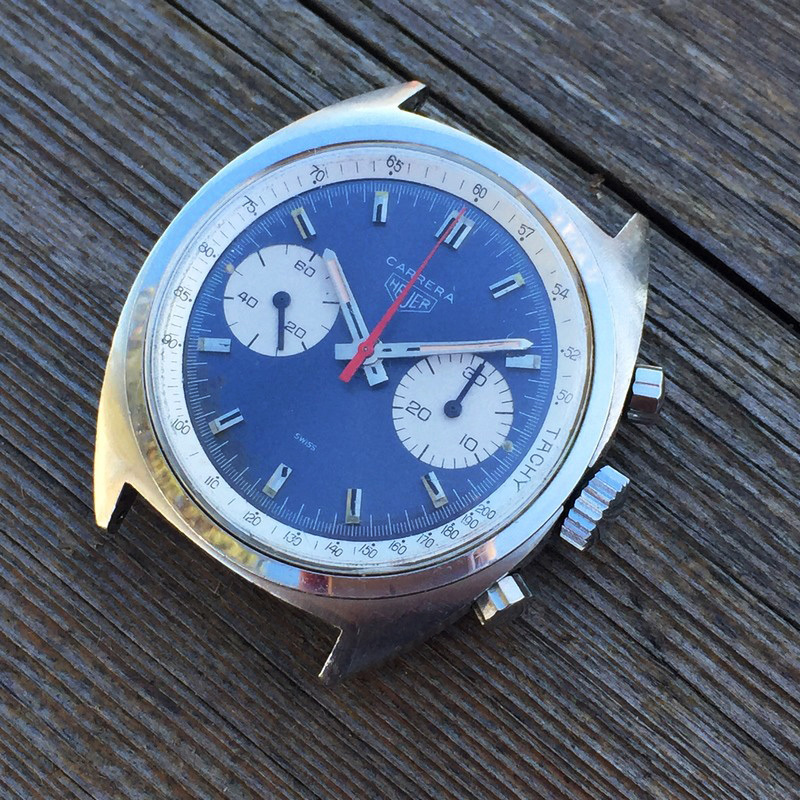 Lindbom had found a 1940's Heuer chronograph ref. 349. His father in law, Gösta Nordin, used the watch during the World War 2 when he was a fighter pilot for the Swedish Air Force. Gösta Nordin was born in 1918, and died in 1998. He was drafted to the Air Force, and got his pilot training in the south of Sweden in a town called Skåne. Later he was put in service in the "Johan Blå" wing in the same town. A military portrait of Gösta and his Silverwings. Picture is dated 24. october 1941. As a drafted pilot he had "Silverwings" on his uniform. The other pilots had "Goldwings" on their uniforms. Two Swedish pilots from the same wing as Nordin was a part of. 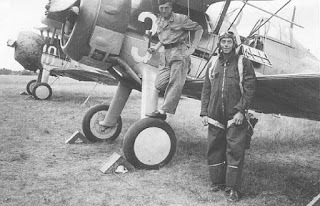 Gösta Nordin was a fighter pilot and flew Glouster Gladiator and Reggiane Falco. He was a fighter pilot from 1940 to 1942. Later he was a policeman in a town called Norrköping. 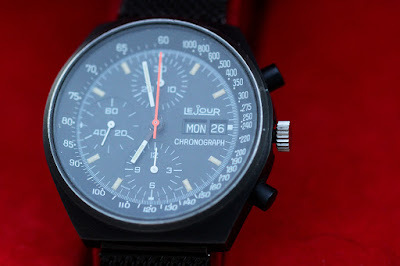 He always kept his old Heuer chronograph. Gösta after a running contest 1. September 1940. The Heuer is visible on his wrist. Thanks to Bo Lindbom for the story. 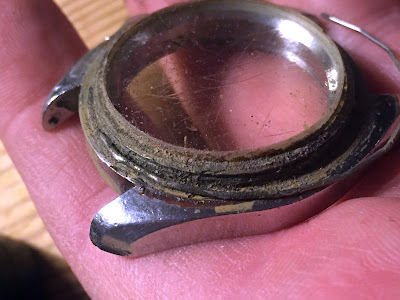 Watches like this is the reason why I prefer a vintage watch and not a brand new one.